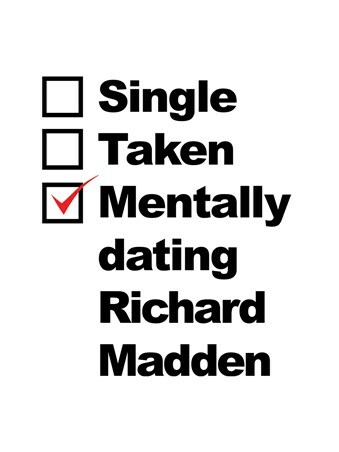 From the curly haired lord of the northern holdfast to police sergeant in the specialist protection branch, this handsome actor has become the only man suitable when it comes to your relationship status. 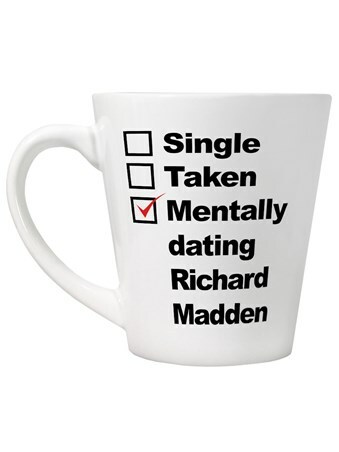 If you don't want to settle for anything less, then this awesome mug is just the thing to sip your tea from whilst daydreaming of your future husband, Richard Madden. 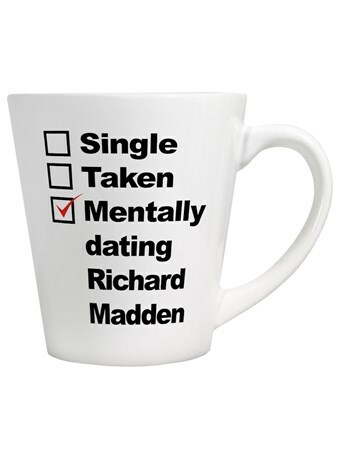 High quality, framed Mentally Dating Richard Madden, Relationship Status latte mug with a bespoke frame by our custom framing service.